Popular hi-fi specialist Roksan decided on a low-key launch for the latest version of its mid-priced Caspian M-series amp. The London-based firm takes an unusual stance on new product launches, favouring a rolling system of improvements using an unchanged model name. 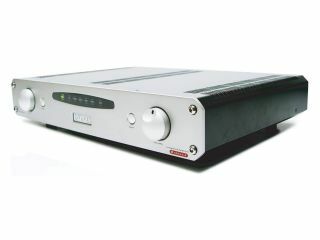 This means that its latest amp still falls under the existing Caspian M-series moniker, despite the new features. Confused? Read on. Roksan’s UK distributor, Henley Designs, is referring to the new amp as the “2008 version”, or “New Generation”, in an attempt to provide some clarity for consumers. The ’08 Caspian M-series amp will now feature a split mode power supply module – based on that of its bigger brother the Caspian monoblock – and will have its input stage fully isolated from its output stage. Visual indicators will include a new silver fascia with red indicator lights and a new cover, which should provide greater ventilation. Further improvements are said to include a high-quality mains inlet filter and a dedicated output protection board. Power is up 20 per cent to 80 watts, rising to 120 watts into a four-ohm load. Roksan says the new improvements bring better timing, detail and loudspeaker control.